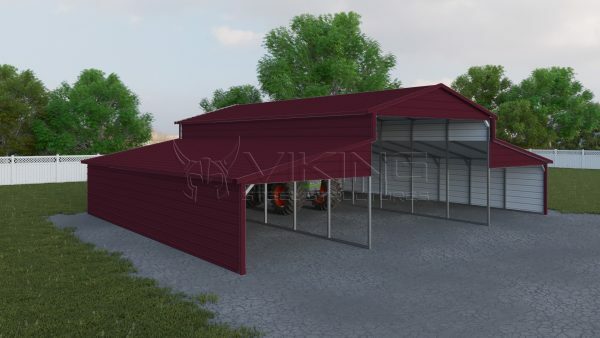 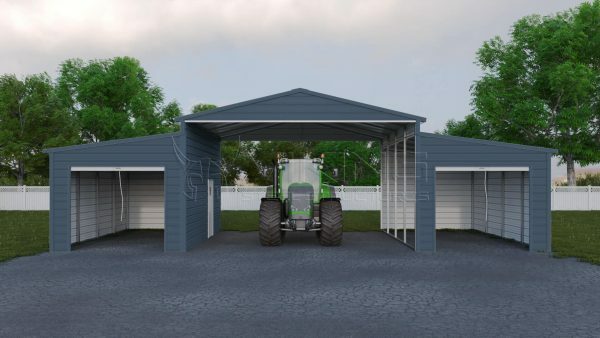 44′ wide x 20′ long Boxed eave style roof Seneca Barn. 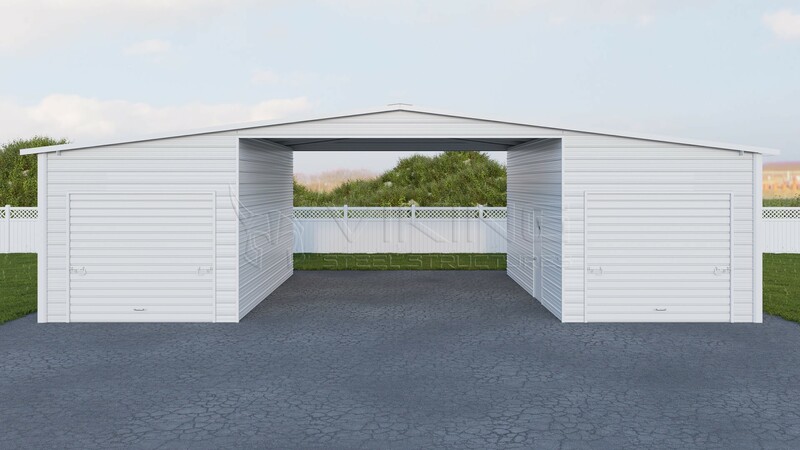 Center unit is 20′ wide x 20′ long with 12′ side height, both sides closed and two gables. 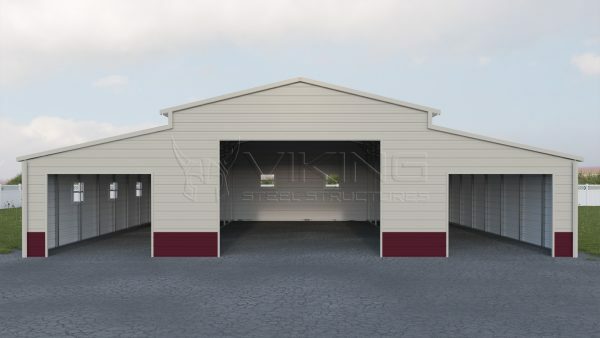 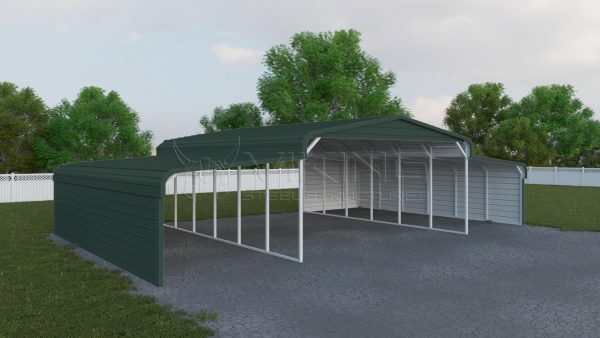 Lean toos are 12′ wide x 20′ long with 9′ side height, fully enclosed with 2) 9′ wide x 8′ tall roll up garage doors one 36”x80” walk in door and one 30” x 30” window.